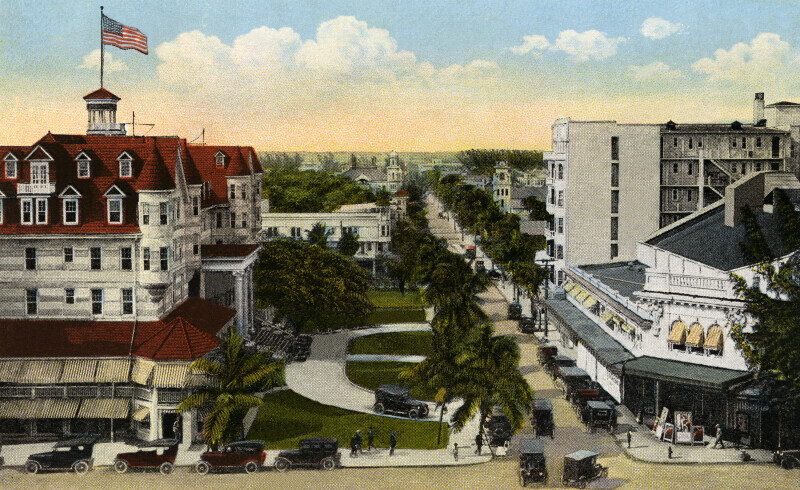 The building to the left is the Halcyon Hotel, with its semi-circular driveway toward the center of the picture. The windows of the Halcyon's lower two stories are covered by striped awnings. The building was constructed with local oolitic limestone, in the Queen Anne style. There are two turrets visible. The road, running left to right, is Twelfth Street. The road, running from top to bottom, is Avenue B.